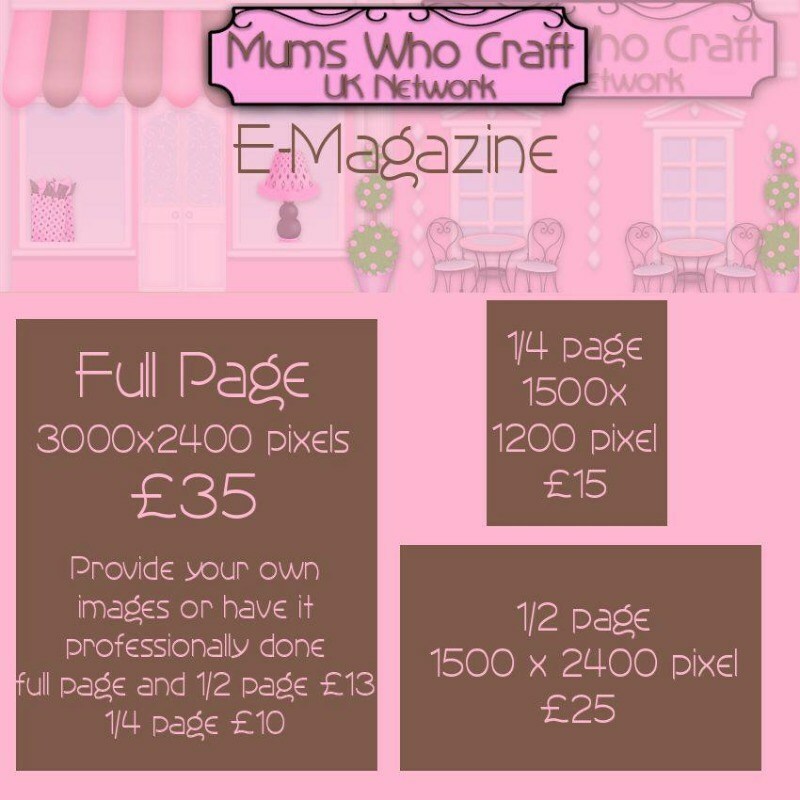 Would you like to see your business featured in the Mums who craft magazine? promoted across our sister networks , mums who craft online magazine being seen and supported by over 50,000 enterprising women in business. Book your ad by contacting Mums who craft via their facebook page HERE. Ad prices are displayed below in this picture along with ad sizes. The Magazine link will be added to this page once it is published.